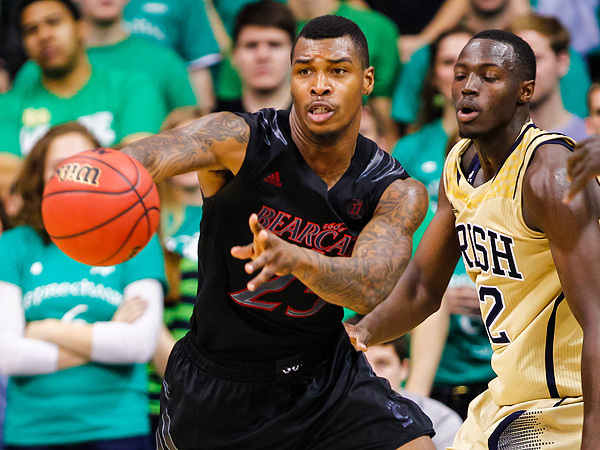 For Real or Fraudulent: Sean Kilpatrick’s Hot Start? Although his stated reason for passing on the NBA Draft and returning to Cincinnati for his senior season was that he wanted to be the first player in his family to graduate and get his degree, it’s not hard to imagine that Sean Kilpatrick also wanted to make up for a disappointing junior campaign on the court as well. Charged with becoming the new face of the program following the graduation of hulking forward Yancy Gates and leading a younger Bearcats’ team coming off a Sweet Sixteen appearance, Kilpatrick faltered slightly. Kilpatrick raised his scoring average to 17 points per game, but a five percent increase in usage rate combined with an unexpected inability to shoot the three-pointer (37% in 2012 to 30% last season) led to an effective field goal percentage of less than 50 percent and didn’t exactly paint Kilpatrick as the picture of efficiency. He was still able to create his own shot and was plenty capable of filling it up (as Marquette found out when he went for 36 in a win in January) but the onus was on him to carry the offensive load every night and his shot-selection and decision-making suffered because of it. He was still an above-average rebounding guard and plus defender but the breakout that so many had expected never really happened and the Bearcats were as a result bounced in the first round of the NCAA Tournament by Creighton. A fringe NBA prospect, Kilpatrick decided to return to school for his senior season and coach Mick Cronin must be glad he did. After the 2012 season much was made about how the departure of Gates would affect the team, but the Bearcats actually lost far more production from last season than they did from the season before. Cashmere Wright and JaQuon Parker graduated and took nearly 24 points per game and more than 600 shot attempts with them, which meant that opposing defenses this season were going to be even more focused on Kilpatrick. Strengths: Defense and athleticism. Under head coach Mick Cronin, Cincinnati has been a defensive force, finishing in the top 25 nationally the past three seasons in adjusted defense, according to KenPom.com. That shouldn’t change much this year, with a group of long, bouncy forwards – Justin Jackson, Titus Rubles and Shaquille Thomas should start, with freshman Jermaine Lawrence adding more of the same off the bench – and quick guards Sean Kilpatrick and Ge’Lawn Guyn. Toughness is never lacking in Cincinnati. If Mick Cronin’s Bearcats are going to make a fourth straight NCAA tournament, they might need to change their ways from years past. Weaknesses: Offense. Just as the Bearcats have consistently troubled opponents’ offenses, they have struggled to score on the other end of the court. 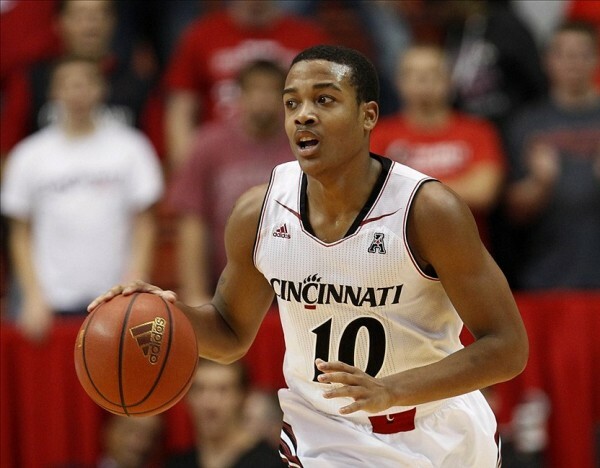 Cronin has said that he expects to pick up the pace this season – Cincinnati has been one of the top 200 most uptempo teams in the country just once in his tenure, finishing at #195 in 2010 – and they’ll need to. Those forwards whose length and quickness are a boon on the defensive end can’t shoot, so getting them out running the floor could help hide that weakness. A strong point guard would help the effort, but Cashmere Wright (by far their most efficient offensive player last year) is gone, and Guyn’s strength isn’t as a facilitator. Schedule: The Bearcats have a road trip to the Pit in Albuquerque to face New Mexico on December 7, a crucial game where a win could do wonders for their NCAA Tournament resume. 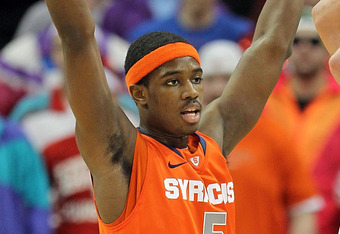 They face former Big East rival Pittsburgh at Madison Square Garden 10 days later. Otherwise, their non-conference slate leaves a bit to be desired. Their conference schedule is back-loaded with a brutal triple-header – Louisville, at UConn, Memphis – in the last two weeks of the regular season. At this point, the Chane Behanan saga has me feeling like Michael Corleone. After reporters in Louisville were able to extract Behanan’s side of things while he was in a downtown Starbucks, I figured that would be the last we would hear of Behanan and his suspension for at least a few weeks, maybe even a month if we were lucky. But no, Rick Pitino can’t stay away from publicity for long, so of course there were going to be media members at his book signing on Thursday and of course Pitino was going to open his mouth and gently walk back the harsh words he had uttered about Behanan at a press conference just one week before. When Pitino had first said it “was not probable” that Behanan would rejoin the team, most people called his bluff, but no one could have expected him to call his own bluff this quickly. Now Pitino is feeling better about Behanan’s chances of returning to the team because he told the truth or something and Pitino said Behanan would be back on the team “in a short period of time”. He tried to clarify that “short” was a relative word, but at this point, no one is even listening. What a giant unnecessary charade. Behanan will be back on the team, his absence probably won’t affect Louisville much in the long run unless Hartford and Louisiana-Lafayette have some players none of us know about and this whole suspension nonsense will fade from everyone’s collective memory. In a story that is bound to make you say, “Wait…what?” and since not a day can go by without us talking about multiple stories involving Louisville, back in April some guy tried to extort Louisville Athletic Director Tom Jurich by claiming he had knowledge of a point-shaving scandal and threatening to go public if he was not paid $3.5 million. Apparently totally unfazed, Jurich basically called the bluff and immediately notified the NCAA and the state’s Attorney General, who then looped in the FBI. This was undoubtedly a smart move as the blackmailer was later found to be a guy who had previously been convicted of trying to extort Best Buy and the guy was promptly arrested again yesterday. I am no expert on extortion, but it’s probably more effective when you try to blackmail a team that didn’t just win the National Championship. It’s not a foolproof defense of point-shaving, but it’s a pretty good one. This story basically materialized out of thin air and is now about to disappear again. If only we could be so lucky with the Behanan suspension. Between 2003 and 2006, 12 players entered the Connecticut basketball program and only one of those players actually graduated. For the mathematically challenged, that is a graduation rate of roughly eight percent — the national average was 74 percent for this time period — which is confirmed by numbers the NCAA released Thursday. Now, to be fair to the Huskies and its former oach Jim Calhoun, the GSR is a flawed rating system and players that leave early for the professional ranks count against the school’s GSR. The article doesn’t say who the one player who graduated is, but it is probably safe to assume that players like Marcus Williams, Charlie Villanueva, Rudy Gay, and A.J. Price all counted against the school’s graduation rate despite the fact that all four of them ended up playing in the NBA. This doesn’t absolve the Huskies and Calhoun from blame. According to the article, the program’s graduation rate got worse and worse before bottoming out at eight percent, and the NBA is only partially to blame as UConn is hardly the only program that deals with early departures and those schools didn’t make headlines for their embarrassingly low graduation rates. The good news is that Kevin Ollie seems to have stabilized the program and helped get the team on track academically, so hopefully the rating will start to return to respectability soon enough. Our first three stories have all been centered around less than savory topics, so let’s switch gears for a minute and talk about the remarkable story of Iowa State transfer and now Rutgers guard Kerwin Okoro. Last November, Okoro’s father died of a stroke in Nigeria and two months later his older brother Idiongo died from colon cancer. Okoro transferred home to be closer to his mother who apparently works 16 hours per day, but because the NCAA is the NCAA, they initially denied his waiver to play immediately. Luckily for everyone involved, the Internet exists and outrage quickly spread across the country as Okoro’s story became well-known and people called out the obvious hypocrisy in the NCAA’s decision. The NCAA finally caved to public pressure last month and now Okoro is eligible to play immediately and should be a key contributor in coach Eddie Jordan‘s backcourt. The more detailed version of the story is on Adam Zagoria’s blog and it is definitely worth the read. Veteran Cincinnati reporter Bill Koch mulls over some questions about this season’s Bearcats, a team with as much to prove as any in the conference. 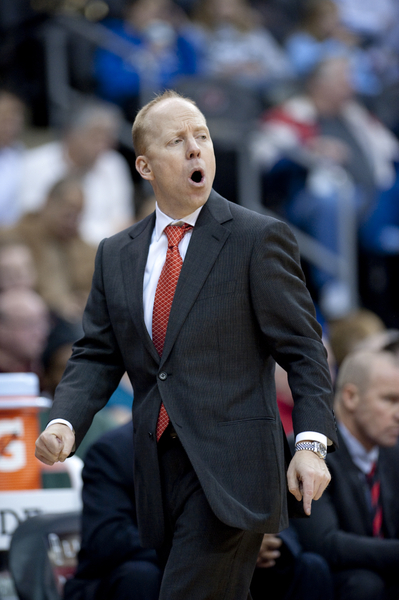 Mick Cronin has done an excellent job of bringing the program back to constant relevancy, but despite plenty of talent, none of Cronin’s teams have yet to make the leap from good to great. Unfortunately for Cronin and the Bearcats’ fanbase, this season looks more like a rebuilding year than a contending year as the team needs to replace starting point guard Cashmere Wright and needs to find a few live bodies to play in the frontcourt and maybe score a basket or two. They do return star guard Sean Kilpatrick and brought in highly touted freshman Jermaine Lawrence, and there is more talent and athleticism on the roster. But, as Koch pointed out, there are a lot of important questions that need to be answered and those questions may be too much to overcome. Coming off a Sweet Sixteen appearance last season, hopes were high for this season’s version of the Cincinnati Bearcats. Unfortunately, after a hot start in the non-conference portion of their schedule, some of their weaknesses were exposed in conference play and a clear inability to score consistently held the team back as it finished 22-12 and 9-9 in the Big East before losing in the Second Round of the NCAA Tournament to Creighton. 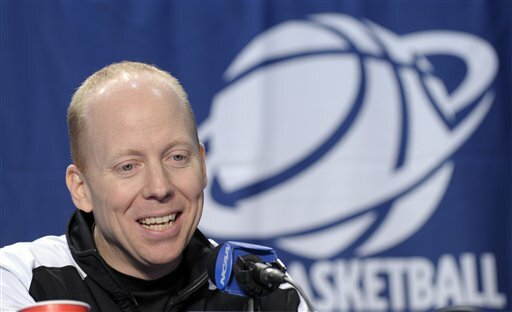 It was a relatively disappointing season after coach Mick Cronin had raised the bar in the 2011-12, but let’s dig a little deeper and see just how disappointing it really was. Both the conference coaches and the esteemed group at this microsite saw the Bearcats’ finish last season and promptly pegged Cincinnati to finish fourth in the conference this season. Mick Cronin’s career was starting to take off following an impressive run to the Sweet Sixteen, and heading into this season, he boasted one of the league’s most experienced and talented backcourts in senior Cashmere Wright and junior Sean Kilpatrick, and an influx of junior college talent and improving underclassmen were supposed to prove serviceable in the frontcourt following the departure of do-everything big man Yancy Gates. Although it didn’t look particularly exciting at the beginning of the season, whoever put together the Bearcats’ non-conference schedule this season might have legitimately influenced the program’s chances of making the NCAA Tournament. The team finished the non-conference slate 12-1 with good wins over Oregon, Iowa State, and Alabama, and their only loss was a one-point defeat versus New Mexico. The Bearcats ended the season on the bubble and you better believe that two wins and a close road loss to good NCAA Tournament teams helped make a difference. There is something to be said for how consistently good Mick Cronin-coached teams are defensively. Cincinnati came into the year as one of the favorites for a top four finish in the Big East, and that looked like a good bet through non-conference play. However, the Bearcats were totally inconsistent all season once the Big East schedule began, and after an injury to guard Cashmere Wright in January, Cincinnati has struggled to put points on the board. Wins over Iowa State, Oregon, Pittsburgh, Marquette, and Villanova were enough to get the Bearcats into the tournament, but Cincinnati was probably a game or two from being in serious bubble talks.